Ozier Hurst obituary. Carnes Funeral Home. Ozier Hurst was born May 31, 1932 in Galveston TX to Miltrude Mason Hurst and William Frederick Hurst, Sr. He was a longtime resident of La Marque, TX. Fondly called by his family and friends “Chicken George”. He was employed at Goodyear in La Marque, TX and was later self-employed as an Auto Mechanic. He left this earthly life July 13, 2016 after a rather lengthy illness. He is preceded in death by his parents; wife, Lucille Hurst; siblings, Astrid Bennett, Bernice Matthews, William F. Hurst, Jr. Arles Hurst and other relatives. 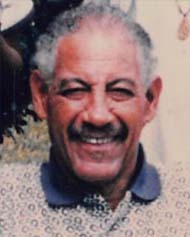 He leaves to cherish is memory, his children, Gregory Hurst and Orelia Hayward; grandchildren and great- grandchildren; sisters, Myrtle Little, Gwendolyn Scott, Barbara Ross, Clemence Lister and Rose Johnson; extended family, Winfred Gilmore, Rachel Hurst, Geneva Bobino Hurst (mother of the children), the late Joseph Gilmore and the late James (Dinky) Gilmore; nieces, nephews and other relatives and friends.